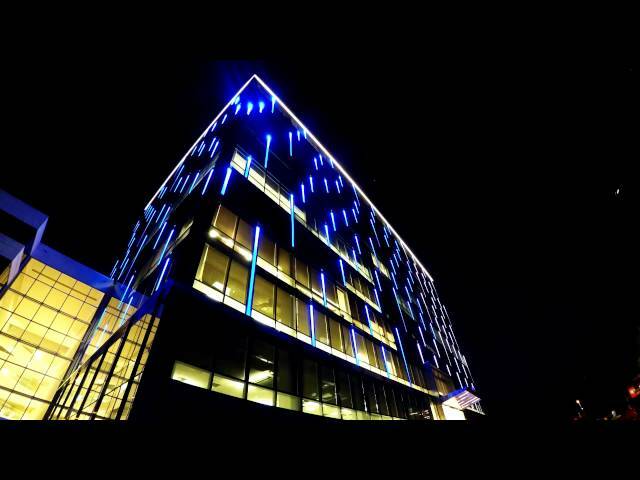 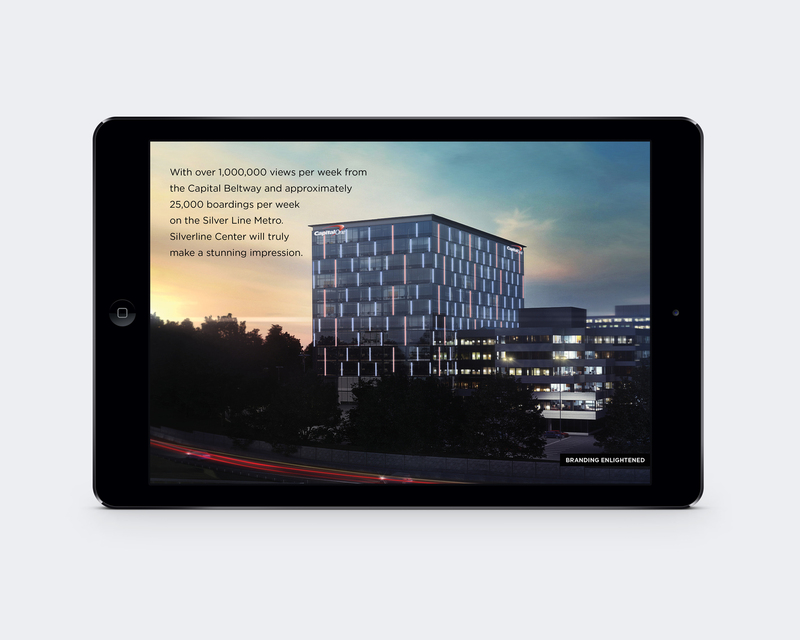 A comprehensive repositioning inside and out, Silverline Center in Tysons utilizes the changing LEDs from the building exterior into the logo design. 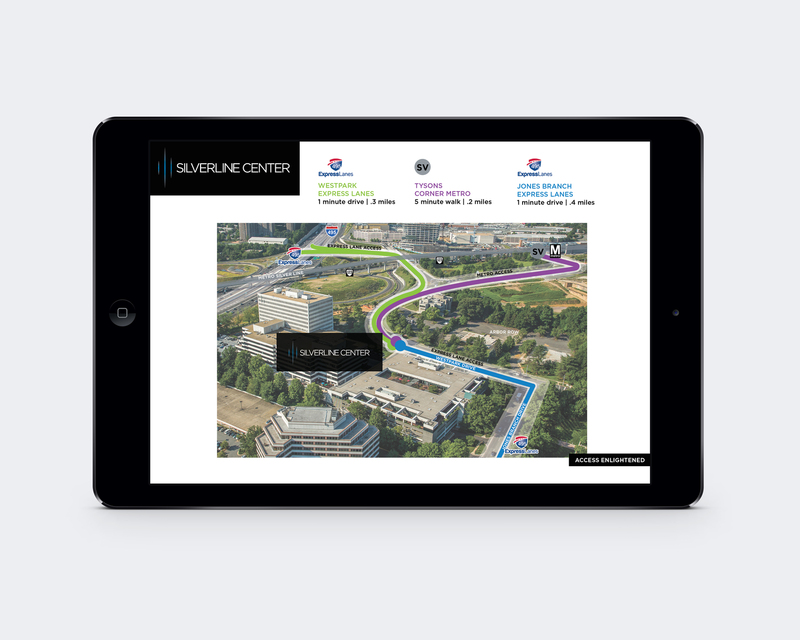 Silverline’s tagline, “Business Enlightened,” is carried through supporting collateral speaking to the bright new spaces (and exterior) and programmed amenities that provide tenants with a tech-savvy, curated building experience. 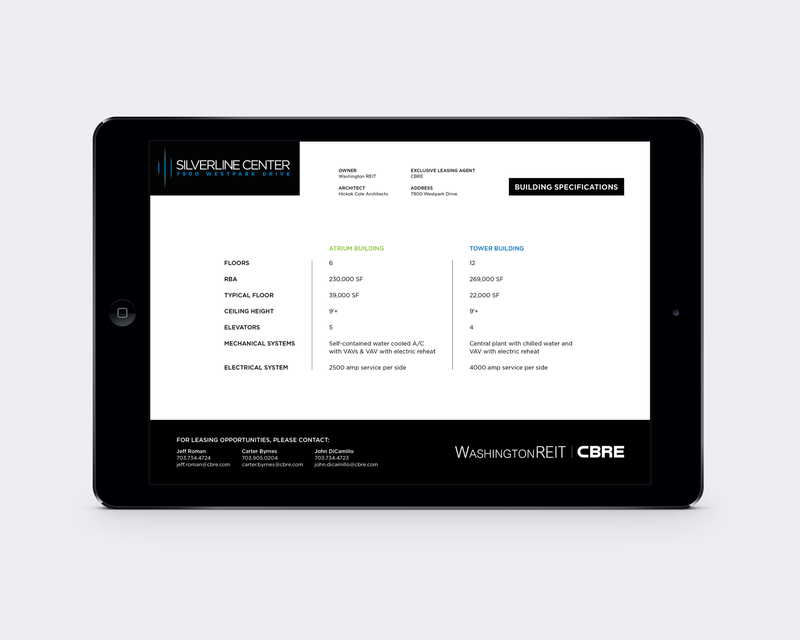 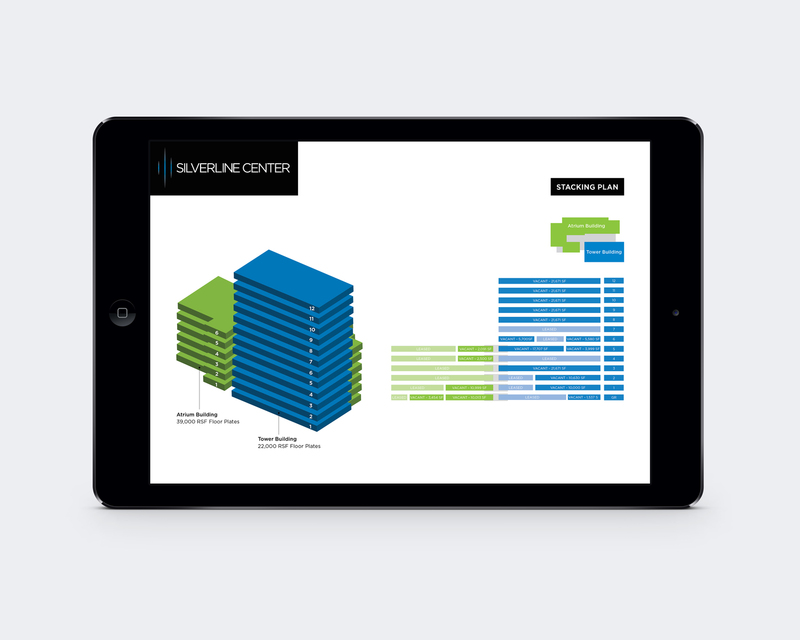 Hickok Cole Creative delivered a comprehensive branding and marketing package to Silverline Center.